Okay, I am REALLY excited about today's post because it's my first hair-style post since my Bodacious Braidhawk post, and let's be honest... iPhones were not meant for hair-style posts. So this hair-style has quickly become one of my favorites. Why? Well, to tell you the truth, it's because I can do it when my hair is too greasy to be worn down and still look put-together. Step 1: Start by selecting a portion of hair at the front of your head. I just started with my bangs. 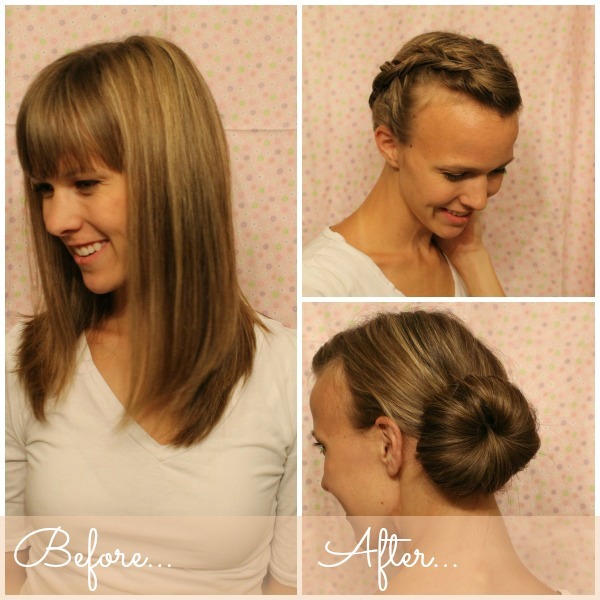 Separate your hair into three pieces to begin the inside-out braid (dutch braid, upside-down braid, etc.). The way this is done is by taking one outside piece and wrapping it underneath the middle piece instead of on top. Continue with the next outside piece, wrapping it under the new middle piece. 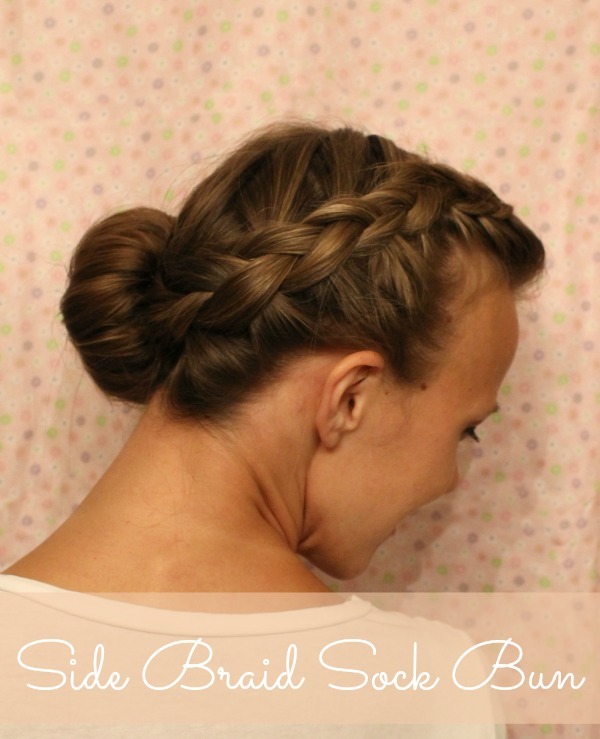 Begin pulling new pieces of hair into the braid to create a French-Dutch braid. 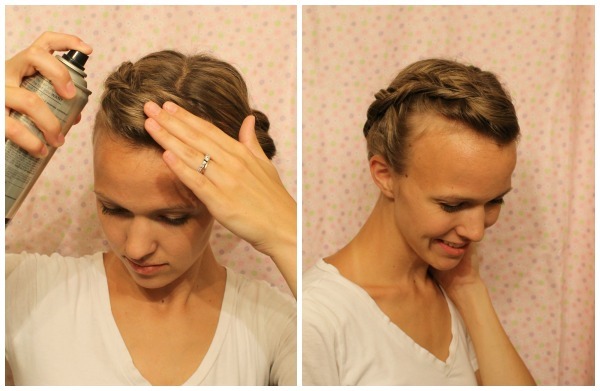 Step 2: Continue the braid down the side of your head and along the bottom until you reach the side. Pull the braid and the rest of your hair into a ponytail. 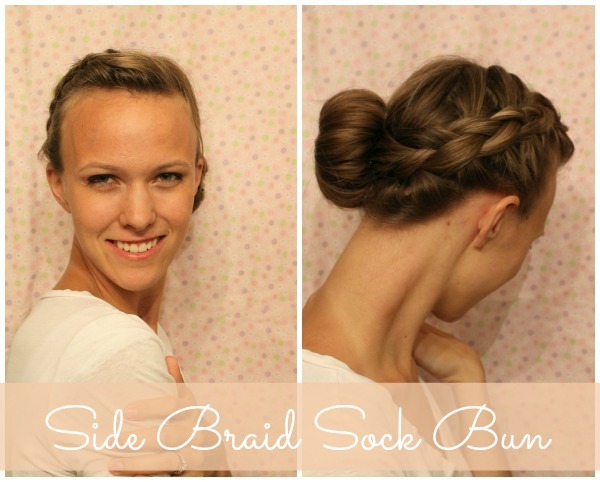 Step 3: Did you know that the sock bun is called a sock bun because you actually use a sock? Use a dark-colored sock if you have dark hair, or a light-colored sock if you have light hair. Cut off the toe and roll the sock into a circle. Step 4: Pull the end of your pony-tail through the sock and wrap the hair under. Hold it in place, then roll the sock with the hair under. Step 5: Pull hair from the bottom loop that you just made up to the top on both sides and use bobby pins to pin in place. Step 6: Spray the front of your hair and the sock bun, plus any stray pieces with your favorite hairspray. I use Pantene hairspray, but I don't use a lot. Once you've sprayed and pinned any stray pieces, that's all there is to it! 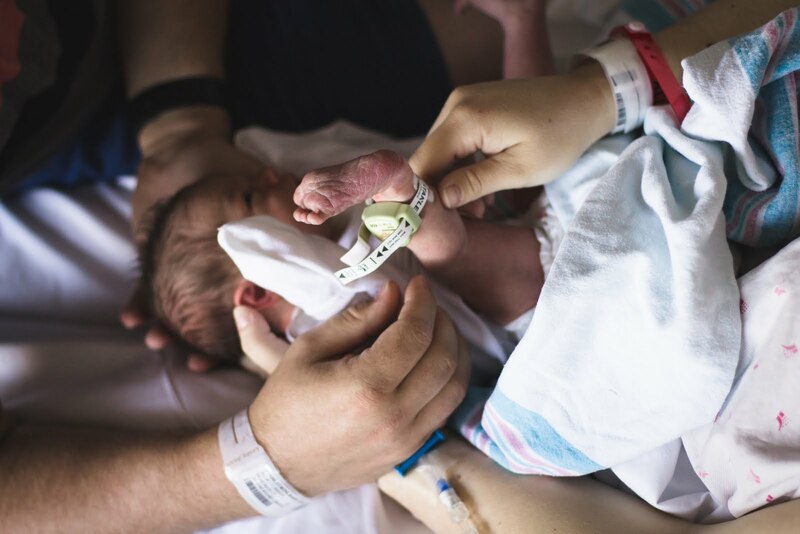 The perfect way to make three or four-day-old hair look new! Have a great weekend and let me know if you try this out. Take a pic, post it on Instagram, and tag @chevronandlacebysue I'll be sure to stop by! 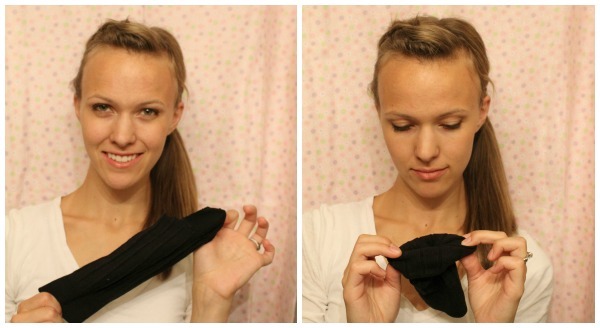 "Fold" ALL your hair through and under the sock circle, and hold it there with your thumb-then start rolling. You don't have start at the very tip of your pony-tail hair. You can start 1/3 of the way up and that would work, unless your hair is really long, then start 1/4, 1/5, etc. etc. of the way up. If you notice some flyaways when you've got the sock rolled up, try to hide the flyaways underneath your longer hair that's still rolled up by gently pulling the rolled hair over the top of the flyaways. If all else fails, bobby pins and hairspry will normally do the trick! I hope those tips helped! Good luck and happy styling!